An alleged member of Lizard Squad, who claimed responsibility for knocking Sony's PlayStation Network and Microsoft's Xbox Live offline late last year has been convicted of 50,700 counts of cyber crime. The infamous computer hacker gang Lizard Squad launched massive Distributed Denial-of-Service (DDoS) attacks against the largest online gaming networks -- PlayStation Network and Xbox Live -- on Dec. 25, 2014. 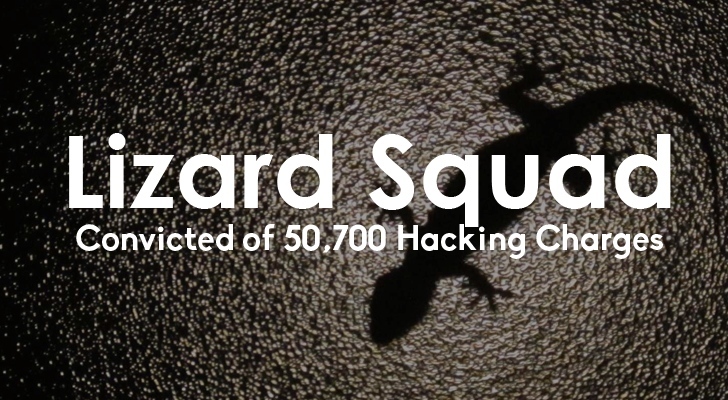 Then offered to sell its own Lizard-branded DDoS-for-hire tool called Lizard Stresser. Julius "zeekill" Kivimaki, a 17-year-old was given a two-year suspended prison sentence and was "ordered to fight against cybercrime," according to Finnish newspaper Kaleva. Finnish authorities arrested Kivimaki in late 2014. Under the alias "Ryan," the teen participated in an interview with U.K. television station Sky News, openly claiming that he is a member of Lizard Squad and that the cyber attacks on Xbox Live and PlayStation Network were conducted to raise awareness of the inadequate security at Microsoft and Sony. The DDoS attacks on gaming networks were ultimately stopped by MegaUpload founder Kim Dotcom, who offered the group 3,000 vouchers for his content hosting service, amounted to $300,000 in bribe. While talking to the Daily Dot, a victim of Kivimaki's repeated harassment Blair Strater, a 20-year-old American, said he was "absolutely disgusted by the ruling" because he felt the sentence was too light. According to Strater, Kivimaki called in false threats to American law enforcement, which results in SWAT teams arriving at his residence. For almost three years, Kivimaki harassed his family by stealing their identities and ruining their finances and personal lives. Kivimaki's computer hacking charges include data breaches, telecommunication harassments, payment fraud, and other counts related to fraudulence and violations of company secrets.